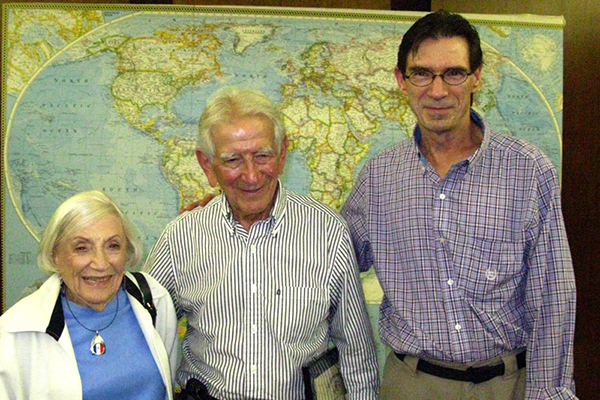 I was privileged to have a photo taken with two amazing people: Marthe Cohn & Morris Price. 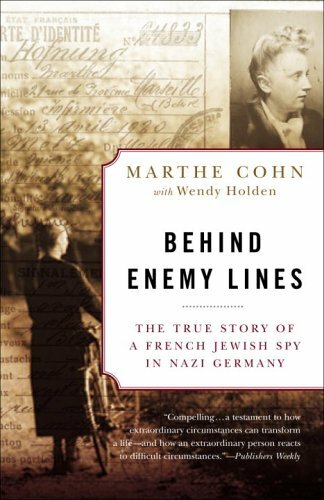 Marthe is the author of “Behind Enemy Lines” – The True Story Of A French Jewish Spy In Nazi Germany. 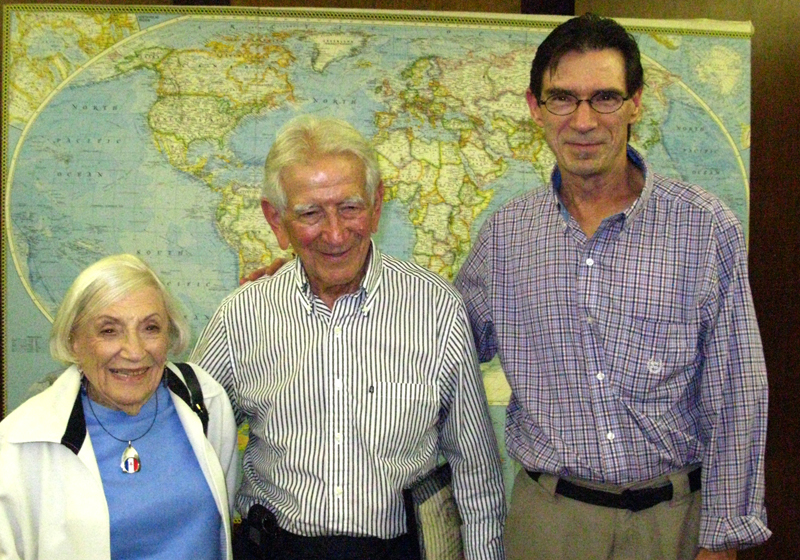 Morris is a survivor of the Nazi concentration camps of Auschwitz and Dachau. As a member of the Los Angeles Adventurers’ Club I’ve been very fortunate to meet many astounding people who have done extraordinary things. I think of Marthe and Morris as heroes in the highest meaning of the word. Both faced horrific odds in terrible circumstances and survived with grace and honor. Marthe was a beautiful young Jewish woman living just across the German border in France when Hitler rose to power. Her family sheltered Jews fleeing the Nazis, including Jewish children sent away by their terrified parents. But soon her homeland was also under Nazi rule. As the Nazi occupation escalated, Marthe’s sister was arrested and sent to Auschwitz. The rest of her family was forced to flee to the south of France. Always a fighter, Marthe joined the French Army. As a member of the intelligence service of the French First Army, Marthe fought valiantly to retrieve needed inside information about Nazi troop movements by slipping behind enemy lines, utilizing her perfect German accent and blond hair to pose as a young German nurse who was desperately trying to obtain word of a fictional fiancé. By traveling throughout the countryside and approaching troops sympathetic to her plight, risking death every time she did so, she learned where they were going next and was able to alert Allied commanders. When, at the age of eighty, Marthe Cohn was awarded France’s highest military honor, the Médaille Militaire, not even her children knew to what extent this modest woman had faced death daily while helping defeat the Nazi empire. At its heart, this remarkable memoir is the tale of an ordinary human being who, under extraordinary circumstances, became the hero her country needed her to be. Marthe is credited with providing intelligence that shortened WWII and saved many lives. Morris Price, a Polish Jew was only a teenager when he and his family members were forced to work in labor camps and then ultimately moved to a concentration camp. In the summer of 1942, Morris’ family received a notice that they were going to be resettled. Two of his sisters decided to go in to hiding and one of his father’s friends, a farmer in Wolbrom, came to their house and agreed to hide the sisters despite the personal risk. Morris and the rest of his family reported to the designated field for resettlement. His father was sent to a labor camp while his mother, sister, and grandmother were sent elsewhere. Morris, just 15 at that time, was sent with his brothers to a different labor camp just outside Krakow, Poland, where their job was to construct railroad tracks. While in the labor camp, Morris overheard that there was going to be a final liquidation in Wolbrom, so he decided to sneak away to the city to inform his sisters. Morris was successful in warning his sisters and one cousin to leave Wolbrom. The amazing life action and experiences he went through during the war and after make a compelling story of the horrors of the holocaust. Morris was sent to Auschwitz-Birkenau concentration camp, then to Dachau on a Death March. His actions and experiences kept him and most of his siblings alive. His parents were lost in the Death Camps and gas chambers. Morris speaks at the Museum of Tolerance because he finds it meaningful when he can share his testimony with younger people and others who might not have previously know about the Holocaust.